I went to Costco the other day, and came upon this gigantic jar of Nutella that cost $40! I know Costco is pretty much the land of giant-sized goods, but who really needs that much Nutella?? What would you even do with so much? Needless to say, I did not buy it, but I did have an insatiable craving for the sweet spread. 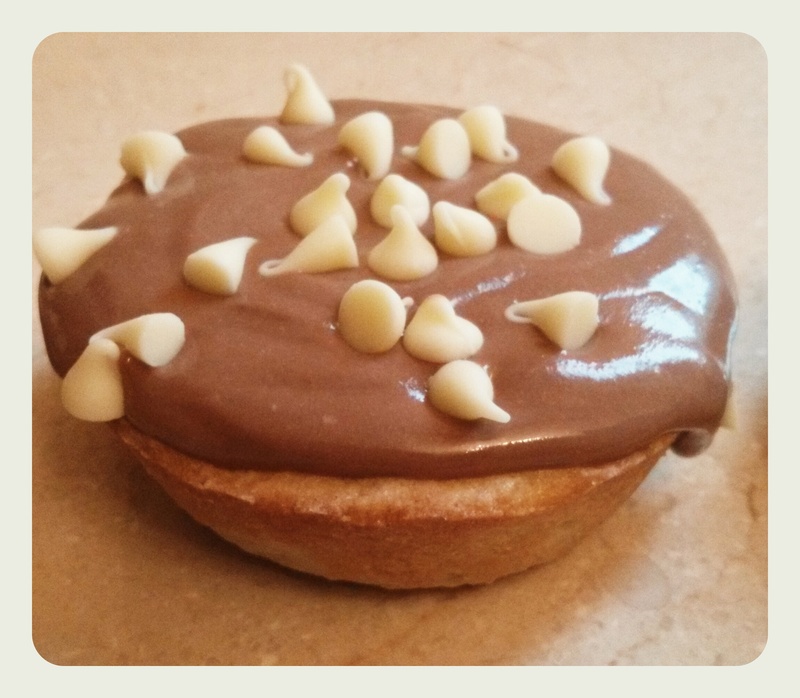 I also happened to have some extra ricotta cheese at home, so I thought I would make sugar cookie cups and fill them with Nutella-flavoured cannoli filling. 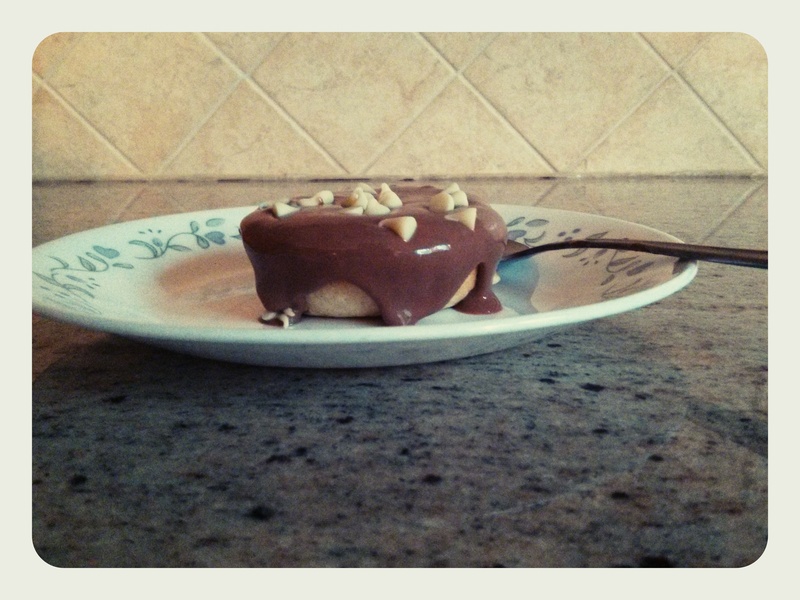 The filling is just a combination of Nutella and ricotta cheese, which I blended in my Magic Bullet. It is soooooo yummy! You could totally just eat it with a spoon, if you’re not in the mood to make the sugar cookie cups. This sugar cookie is a softer version of my favourite sugar cookie recipe, from Mel’s Sweet Treats blog. I rolled out the dough, and cut out fairly large circles, which I pressed into the cups of a muffin tin, and baked for 10-12 minutes. 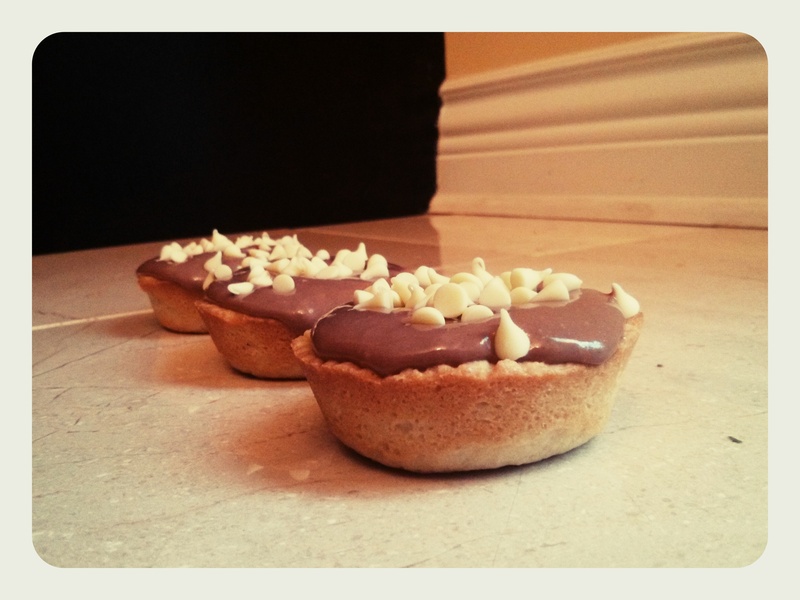 I then made the filling, and spooned it into the cooled cups, and sprinkled them with mini white chocolate chips. 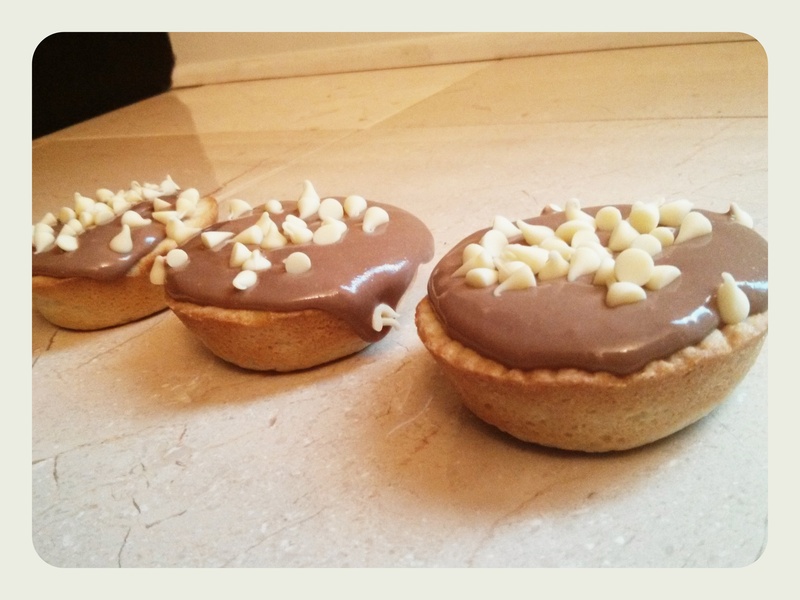 After I put them together, I stored them in the freezer until eating time, so the filling firms up a little bit. I’ve included the recipe below, but you can totally adapt it to your liking! 1. Preheat oven to 350F. Whisk together the flour and salt in a medium bowl. 2. Using your mixer, use the paddle attachment to cream together the butter and sugar until the mixture is light and fluffy. Add the egg and vanilla or your extract of choice and mix until well blended. 4. Turn out dough onto work surface and roll out until about 1 cm thick, and cut out circles. 5. Fit dough circles into muffin tin cups, and bake for 10-12 minutes. Mix together either by hand or in blender, until fully combined. Spoon some filling into cooled cups, and sprinkle with white chocolate chips. Chill until ready to serve.